Yes, veils were worn for mourning. 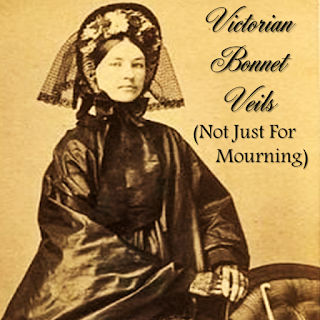 However, veils were not just for mourning. Veils were a common, practical fashion accessory in the 1860s and were worn for several reasons. Veils protected the eyes from the sun's glare, just like sunglasses do now. Veils protected the face from flying insects and dust. Remember, buggies, wagons and horse-backing riding didn't provide windshields! Veils offered a lady privacy. They created a personal space for her, even in a public place. 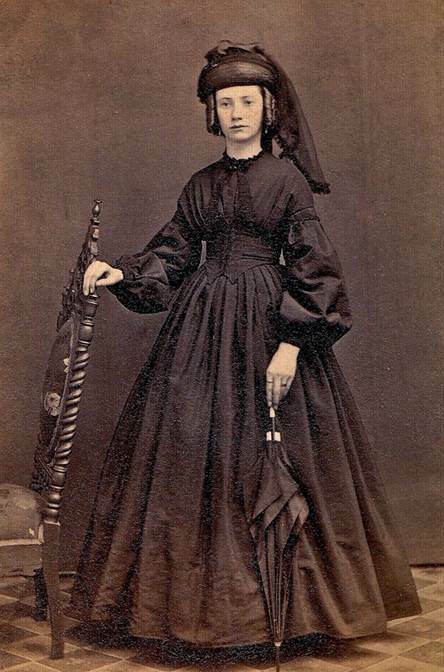 As you can see from this CDV, veils were worn with both bonnets and hats. These ladies have pulled their veils back so you can see their faces. Veils have been worn for centuries so ladies wearing them in the 1860s was not a new idea. 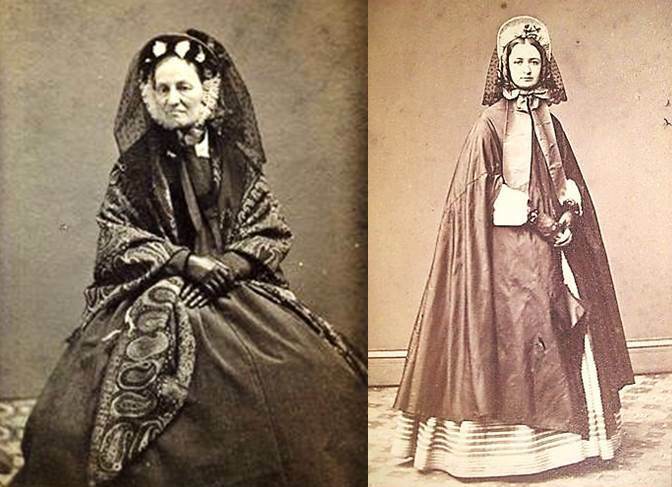 Veils were worn by young and old alike. 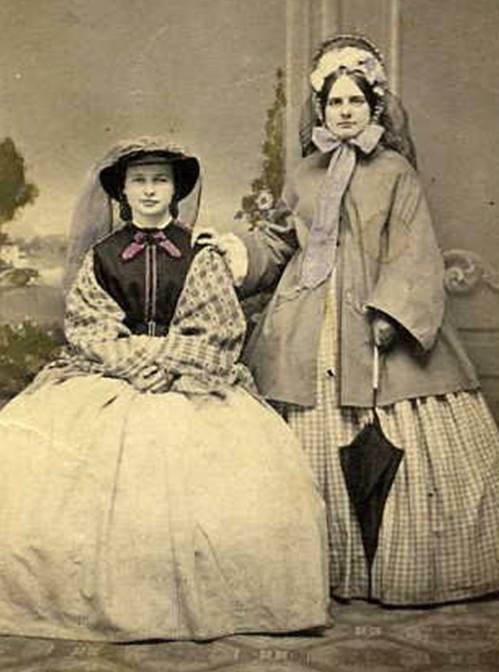 Here is both an older lady and a young lady wearing one. 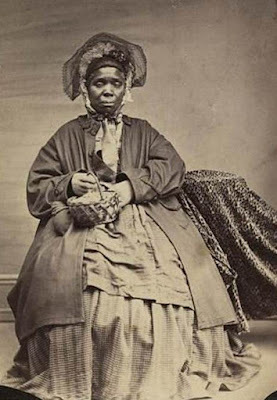 Regardless of race, income and social position, many ladies wore them. They were appropriate for both winter and summer weather. Veils generally come in a half-oval shape or some rectangular configuration. They seem to be predominantly black or white, but they can also come in colors such as blue, green, and brown. The following snippets from fictional works of the day will illustrate. She was muffled up in furs, woolens, shawls till she was nearly as broad as she was long, and wore a heavy brown veil. She stopped and looked after him, thrusting the brown veil aside that covered her face. He went that way—that way, look!—in a cab, with somebody in a blue veil. I love this lovely yet practical Victorian accessory! 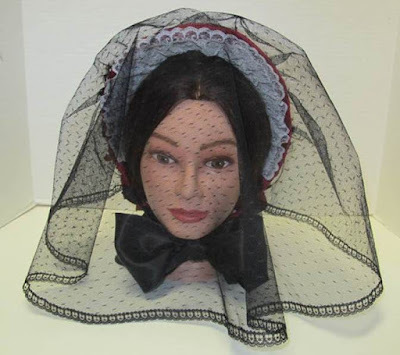 In fact, I offer bonnet veils in my shop. 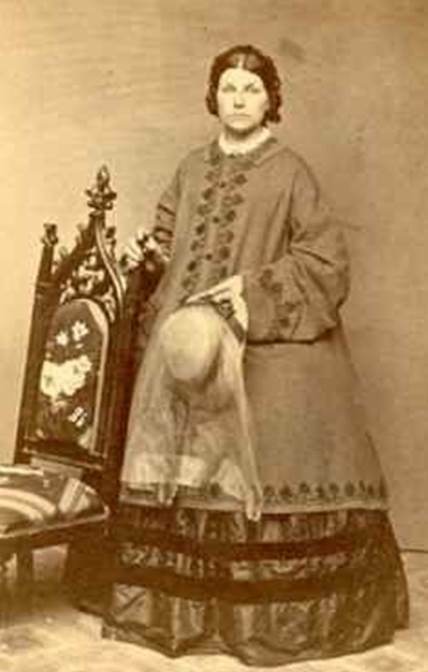 My veils are copied from an original veil in my collection.